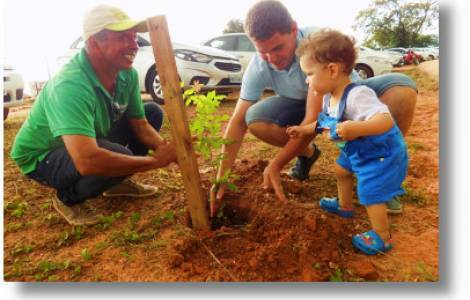 Araguaína (Agenzia Fides) - The Don Orione Hospital of Araguaína, a municipality in the Brazilian state of Tocantins, has launched the project "Nascer Sustentável", thanks to which a tree will be planted for each child that will be born in the structure. On the day the project was presented, the first trees were planted and the goal is to plant more than 6,000 by the end of 2019, in public areas of the city and in areas of permanent conservation. The project is carried out in collaboration with the Municipal Secretariat for Economic Development and the Environment. For the director of the Don Orione Hospital, Father Jarbas Assunção Serpa, the project is "important for stimulating society's awareness of environmental sustainability. If each of us does something to help the environment that is suffering, we can preserve it, guaranteeing everyone a better quality of life". The project was launched in the Reference Center for Social Assistance (CRAS) in the Araguaína Sul II sector. Two thousand seedlings of trees will be planted in this neighborhood. For the environmental engineer of the Don Orione hospital, Higo Pimenta, "the participation of the residents is fundamental and the involvement of the community is an essential factor for taking care of the planted trees".